Marine Kickboxing is a kickboxing facility that promotes mental wellness, fitness, healthy living and confidence in yourself. With over 10 years training in martial arts, both Hillary and Kerry have competed locally in both Muay Thai and Kickboxing. Both have also been certified by world class striking coach Henri Hooft in his HKickboxing system. After competing locally In Brazilian Jiu Jitsu, Kerry began competing in local Muay Thai and Kickboxing competitions alongside Hillary before beginning to instruct full time in 2013. Both Hillary and Kerry have gone through the grading system of Henri Hooft. After training with Henri here in Canada and flying down to Florida to train with him there, they have become the only HKickboxing certified instructors in Canada. They have been teaching HKickboxing to their students ever since. Marine Kickboxing combines the HKickboxing system with Hillary and Kerry’s knowledge of training. It is applicable to both those who are strictly training for a hobby or fitness and those training with goals of one day competing. 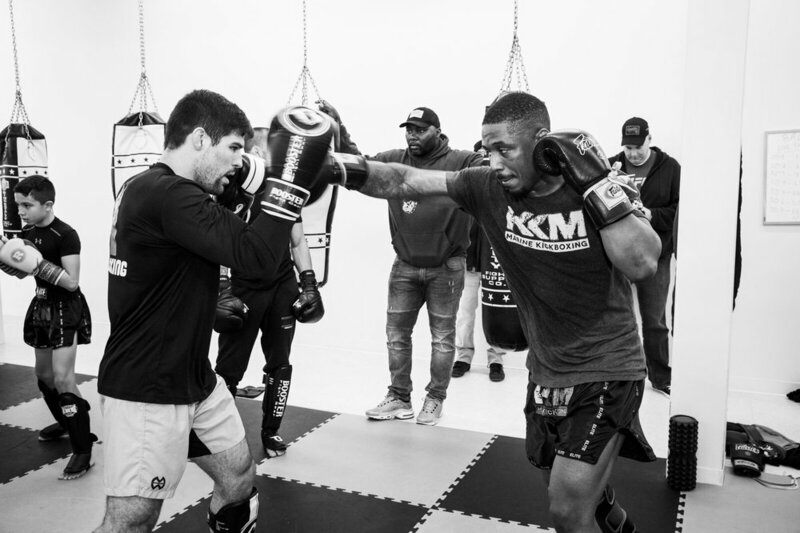 Marine Kickboxing’s slogan, Train Like a Marine, is not only a clever play on words, as it is Kerry’s last name, but also the type of training you will receive. Marine Kickboxing is the gym for anyone who is looking for an inclusive space to train or just exercise in. Everyone is welcome to stop by and get Training Like a Marine! !